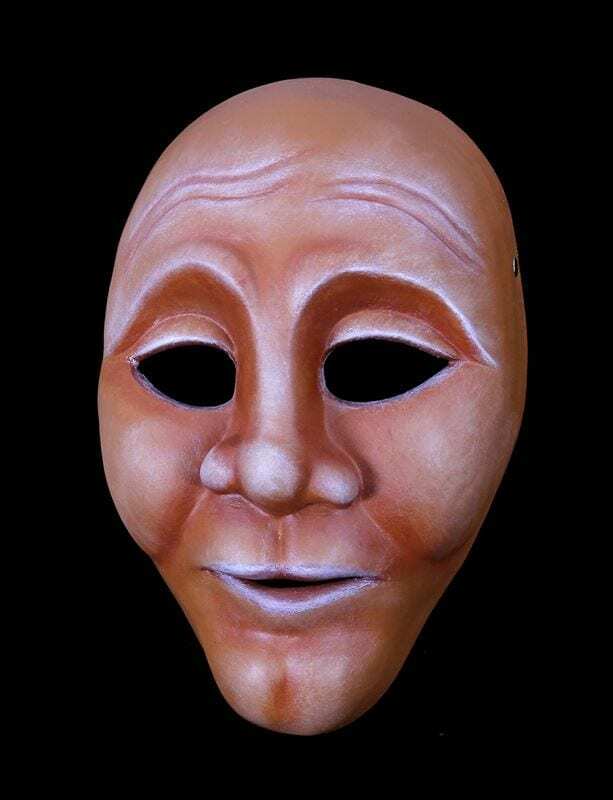 This full face character mask is a mask with the passionate qualities of strength, determination, kindness, joy and pride. This mask is often found as captain of the volley ball team, leading a hike or leading others through a strong determination to do nothing as much as possible. Character mask #7 was sculpted in Brooklyn, NY in a sculpture studio that has many pigeons present in the studio as outside the building in which the studio was located. This mask as most them have as much story connected to their creation as there is present in the form itself.